You probably could not guess it from our quiet Atlantic tropical season, but 2015 has already experienced a record number of tropical storms this year. 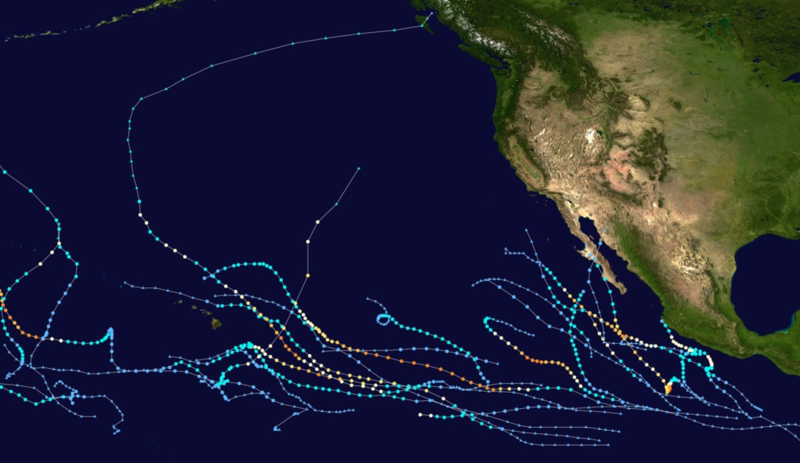 According to Minnesota Public Radio meteorologist Paul Huttner in this blog post, this year has set new records in both number and intensity of the storms, based on extremely active Pacific Ocean. By October 18, the number of category 4 or 5 storms was up to 20. In a related article Brian Kahn of WxShift discussed the impacts of the strong El Niño and its warm water on hurricane development in both the eastern and western Pacific Oceans. 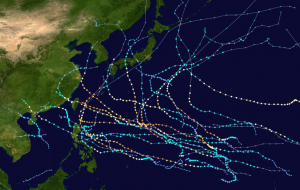 In an article earlier this month I also discussed the number of storms entering high latitudes due to warm waters in the North Pacific. Brian points out that we still have two months left in this year’s tropical season before we close the books. That gives us a long time to continue past the old record set in 2004. Previous: Video: How do climate models work?